We’re happily welcoming Dr. Sarah Sweetnam to our team of Dentists at Georgia Dental Group. 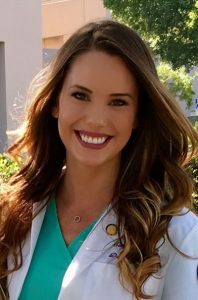 Dr. Sarah Sweetnam attended University of Western Ontario for an undergraduate degree in Honors Medical Sciences and followed a childhood dream to attend dental school in sunny Florida at Nova Southeastern University in Fort Lauderdale. Dr. Sweetnam loves working with children and was very involved in the National Give Kids A Smile event at Nova. She received her degree with Honors in Endodontics and also received an award for Oral Medicine Diagnosis. She is very passionate about all aspects of Dentistry and strives to build strong patient relationships to provide comprehensive patient care. Learn More About Dr. Sweetnam in her bio! Dr. Sarah Sweetnam is available evenings and some Saturdays. Her hours are Tuesday, Wednesday & Thursday from 11:00am – 8:00pm, and Saturdays as we can book them. Call today to book an appointment, or request an appointment online! 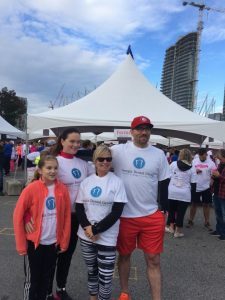 Our team at the Georgia Dental Group did the CIBC Run for the Cure last weekend to raise funds for the Canadian Breast Cancer Foundation. The new Georgia Dental Group is open to patients on the Northeast corner of Georgia and Bute on the ground floor. New operatories with new equipment and new staff joining our practice will make Georgia Dental Group more accessible and more capable than ever before. Georgia Dental Group is excited to welcome Dr. Monica Mangat, Pam and Valerie as scheduling coordinators, Amanda H as our newest Hygienist and Libby, our newest Certified Dental Assistant (CDA). Unfortunately, Dr. Scammell, who joined Georgia Dental Group in 2012, is retiring. We wish him all the luck in the world as he goes on to enjoy his retirement with his family. It is with careful thought and consideration that I have decided to officially retire from dentistry. I would like to take this opportunity to thank you for your continued trust and confidence in allowing me to care for your dental needs through the years. I have thoroughly enjoyed my many years in practice mainly due to a wonderful family of patients and caring staff members. It gives me great comfort to know that my patients and staff have been and will continue to be so well looked after in the hands of Dr. Brian Baird. I believe these last 2 ½ years of transition has proven that you remain valued, welcomed and have received excellent dental care. Dr. Baird graduated from UBC Dental School in 1999 and established Georgia Dental in 2001. 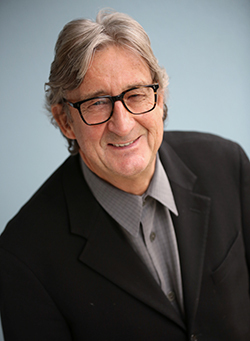 He is a skilled practitioner with a true passion for dentistry and puts his heart and soul into his daily practice. He is committed to continuing to provide patients with individual care and attention. I am proud to entrust the care of my valued patients, friends and my family to Dr. Baird. Thank you again for your confidence and years of loyalty. I will miss you all very much. If you have any questions, please contact the office and Sherri or another staff member will be happy to assist you. Everyone should attend regular check-ups with their dentist. But even if it is not yet time for your scheduled appointment, there are certain dental symptoms that should be given urgent attention. If you experience any of the following symptoms, see your dentist as soon as possible so that the problem can be addressed before it gets worse. Gums that bleed when you brush your teeth, or gums that are super-sensitive to the touch, are often a sign of gum disease. If this condition is left unchecked, it can spread and lead to tooth loss, so it is important to get it treated as soon as possible. If you notice that your teeth are becoming increasingly sensitive to hot or cold, then you should speak to your dentist. An increase in sensitivity can be caused by dental enamel wearing away. Once the enamel has worn down, cavities can quickly form in the teeth. It is always better to treat cavities while they are still small to prevent decay from spreading into the inner part of the tooth. Your dentist may also suggest enamel-strengthening toothpastes or rinses that you can use to help your teeth stay healthy. Bad breath is embarrassing, but your dentist might be able to find a solution, so do not suffer in silence! For some people, smelly breath comes from the foods they eat, but if you have tried altering your diet with no success, then you may have an underlying problem, such as gum disease or dry mouth. Your dentist can help to identify conditions that might be causing your bad breath and give advice about fixing the problem. It’s not unusual to occasionally get a sore spot on the inside of your cheek or lip, but if you have long-lasting or recurrent sores in your mouth, then you should let your dentist know. Sore or discolored patches on the soft tissue inside the mouth can be caused by fungal infections, ongoing irritation from misaligned teeth, or even something as serious as oral cancer. Teeth should not move or feel loose. Underlying conditions such as gum disease or even osteoporosis could be causing your teeth to loosen. See your dentist about teeth that feel loose so that steps can be taken to save them. Getting older doesn’t mean you need to slow down. In fact, there are more programs and activities for seniors than ever before across greater Vancouver. If you’re retired or even just looking to connect socially with others your own age, you can try countless types of programs and activities both long term and drop in. For starters, check out these websites and resources to register for great programs that take place each and every day across Greater Vancouver. What’s more, many of these events and programs take place near 123 Dentist clinics, so you can easily have an outing and come in for a check up at the same time. A great Canadian pastime and winter sport is curling. A little more active than bowling, it’s easy to play with limited mobility and is a great way to get some exercise without feeling out of your depth. Every city in Greater Vancouver offers curling of some kind, and if you aren’t sure what your skill level is, start with a class or training session. Most rinks in town offer a seniors league too, so depending on your age you can join the league that fits your skill and fitness level. Just because you live in Vancouver doesn’t mean you have to stop enjoying it. Each weekend you can join hundreds of other adventure minded folks on tours of Gastown, Capilano Suspension Bridge and Stanley Park. Visit the Burnaby Museum or take a hike in North Vancouver. Rent a bike for a leisurely journey around Vancouver’s Sea Wall or just grab lunch and a show at Granville Island. Need to maintain your fitness level but worried about going too far? Yoga is a relaxing, easy way to get back in touch with your body and stay flexible and maintain mobility as you age. In fact, yoga might go beyond activity and should be counted as necessity. Nothing matters more than mobility as you get older, because it gives you the power to do everything else on this list without relying on others for help. The senior and community centres throughout Greater Vancouver offer seniors and beginners yoga so you can learn how to stay in charge of your body and mind longer. Who’s to say you can’t be romantic as you get up there in age. Age brings experience, wisdom and the added benefit of knowing what really matters in life. If you’re single and looking to connect, online dating might be a good way to test the waters. Beyond that, check out all the great options for speed dating in Vancouver, because many groups offer special seniors nights with great rates. If you’re a little computer shy just have someone you trust help you set up your profile, it’ll be a great opportunity to connect with someone at the same time. Even though it can be scary or awkward, take the chance and try online/speed dating. You may just meet someone to do these other activities with! Everyone can see movies, there are new releases every week and there’s something out there for you, even if it’s hidden in one of a few smaller theatres and not the big multiplex. Beyond the smarter, more mature films playing at theatres like Cineplex Fifth Avenue and International Village, the Vancouver International Film Festival and Whistler Film Festival are world class film markets that come to Vancouver every year and offer special rates for seniors. You can take advantage of early screenings and discounts to see more films than the average festival goer too. If you practice good dental hygiene and pay special attention to way that your dental health needs change as you get older, you can maintain a sparkling, healthy smile well into older age. Try to maximize your chances of keeping that healthy smile by being mindful of the following potential problems. Depending on whether you have consumed a lot of foods and drinks that cause staining (e.g. coffee and red wine), you feel that your healthy smile is undermining by discoloration. However, even people who practice great dental hygiene and have a generally healthy smile can start to notice stained teeth due to subtle chances in tooth tissue that occur in older age. If you are concerned about this, talk to your dentist about the possibility of whitening procedures. Once again, even if you have worked to keep a healthy smile by seriously limiting your exposure to decaying substances, you may find that your underlying health problems (such as diabetes, anemia and some forms of cancer) make you more likely to develop gum disease. Look out for swollen, bleeding gums, and consider a regular trip to a dental hygienist to help keep your mouth even cleaner. If, like many older adults, you have decided to get dentures in order to create the appearance of a maximally healthy smile, you might develop inflammation of the tissue underneath the dentures. If you notice painful, recurring mouth ulcers, speak to your dentist about the underlying cause. Sometimes, acquiring dentures with a better fit can help to prevent reoccurrences and help you to maintain a healthy smile. Oral cancer can develop at any age, and it is one of the most important reasons why you should see your dentist on a regular basis. In particular, any unexplained sores or patches of discolored tissue should always be examined if they do not disappear over the course of several weeks. In addition, although you may look as though you have an entirely healthy smile, an expert can notice subtle signs that could lead to an early diagnosis and a better outlook. Dentists are hard to like if you believe what you see in the movies. We’re always portrayed as horror film villains or just mean, unhappy people. Sometimes if you’re lucky you’ll see a film where the dentist is just incompetent or misguided, but rarely do we get to see dentists treated right on TV or in film. A recent poll found that dentists were among the most trusted of all professions, and so it should be. In reality, we’re kind, helpful and leave you smiling brighter, with more confidence then when you arrived. With that in mind, we thought it would be fun to look at some cartoon dentists that might be a bit better way to show your children dentistry for the first time. Show your children these dentists and they might not be quite as scared to come visit us for the first time. First of all, Finding Nemo’s Australian dentist is just trying to give a pet fish to his little niece. He has no idea what poor Nemo and his father have been through, how could he? This clip shows just how misunderstood a dentist can be, while showing a really pleasant office space that would be wonderful to visit. No cartoon dentist has ever shown the science of dentistry in such positive light. The likable elf who longs to become the antithesis of his fellow elves, fixing teeth instead of filling mouths with sugar. This origin of a dentist has more truth than all the live action ones we could find. One question though, how did the elves keep their teeth so clean before Hermey the Elf? That’s a lot of cavities for Santa and his team. Bob & Margaret won an Academy Award for presenting audiences with an average couple just getting by with their two dogs. Bob was a dentist, and a decent one at that. He loved helping people and once again shows a realistic portrayal of a dentist not marred by evil deeds or cruel intentions. Bob just wanted to do his job, love his family and live a comfortable life. Don’t we all just want what Bob wanted? After Bean made it from TV series to specials to the big screen, he made it into animation for a short lived animated series. The show mostly recreated bits from his live action series, recreated for children with more outlandish stunts and hygiene from Bean himself. What’s great about this sketch is how it shows Bean reacting just like any child would. He sees a terrifying dentist, who reveals himself to be a kindly little man who just wants to help Bean repair a missing tooth. Another British series, Topsy & Tim, has gone through numerous adaptations and incarnations. The series is aimed at the youngest of children, educating them and parents on new experiences, like visiting the dentist. Topsy & Tim’s visit to the dentist may be the perfect way to directly introduce your younger children to the dentist. The animation might be a little tacky, but the message is spot on, and it even shows how much fun seeing the dentist can be for children! This infotainment special was made by the same team behind the famous Charlie Brown specials, only it was never used on television at all. Instead, the educational film shows Snoopy, Charlie, Linus and others learning how to brush their teeth take better care of their smiles. Sure it doesn’t really feature any dentists, but it does show Charlie leaving a dentist quite enthusiastically, the same way we want all our patients to leave us; happy and excited to maintain a great smile. What animated dental heroes did we miss? Tell us in a reply to this blog on social media and be sure to send us other animated clips of dentists so we can share those with you too. Today’s dentists have training in multiple areas. Not only can they perform general, cosmetic, restorative, and endodontic procedures, but they can also assist patients with their oral health in other ways. In particular, modern technology has given dentists a unique tool to use in the search for abnormal tissues within the oral cavity. This device is known as the VELscope, and it is available in the comfort of a dentist’s office. VELscope detects cancer early in the mouths of dental patients who visit dentists with the proper equipment and training. Three words that can be used to describe the examination include quick, painless, and effective. Taking only a few moments, VELscope detects cancer early on its development, providing the patient with plenty of time for treatment by a medical professional. Before you begin the process, you will receive eyewear designed to protect your retinas against the light that is used. You will also need to rinse your mouth with a special solution. Your dentist will hold the hand-held device near your open mouth in order to shine a specialized blue light into it. If VELscope detects cancer early enough, your recovery has a better chance of success. VELscope Detects Cancer Early, So Now What? If your dentist discovers abnormal mucosal tissues in your oral cavity, a biopsy is usually taken to identify the cells. In some cases where the results are questionable, you might simply be scheduled for a second oral cancer screening. Although VELscope detects cancer early, it can only do so if the patient comes into the office for the examination. It is important to come in for this next visit, because VELscope detects cancer early enough to give you a good opportunity to recover from it. Scientific studies have shown that VELscope detects cancer early, while also having the ability to point out other mucosal abnormalities that can affect oral health. In particular, the following problems have been identified as being within VELscope’s capabilities of observation: bacterial infections, fungal infections, viral infections, lichen planus, lichenoid reactions, inflammatory lesions, salivary gland tumors, and squamous papillomas. Healthy smiles are beautiful smiles. Here are a few simple tips that you can use to improve your oral hygiene and keep your smile healthy and radiant. Everyone should see their dentist regularly to check for dental decay. The dentist can then take preventative action to stop the spread of decay and protect your teeth. Never put off having dental treatments as the problem will only get worse if it is less untreated. Most people clean their teeth twice a day, but do not pay attention to how they brush. You should spend at least two minutes cleaning all surfaces of your teeth, including the backs, to prevent the build-up of plaque. If you have parts of your mouth that are difficult to reach with a brush, ask your dentist for advice. Brushing your teeth every day is essential to prevent bacteria causing dental decay. But brushing alone does not remove all the bacteria from your teeth. You also need to floss to clean the spaces in between your teeth that the toothbrush can’t reach. Flossing takes just a few minutes per day, but it’s one of the most beneficial things you can do to keep your teeth healthy. The foods you put into your mouth can have a big impact on its state of health. Too much sugar will send bacteria into a feeding frenzy. The toxins that the bacteria produce attack tooth enamel, leading to cavities. Try to limit sugary foods and drinks, particularly sodas which also contain harmful acids. To keep your teeth white, try to cut down on foods that cause staining, such as coffee and red wine. Cigarettes will also stain your teeth, so consider quitting if you are a smoker. When you suspect that you need to see a dentist, don’t put off making an appointment. Pain in your teeth and gums needs attention from a dentist. Make an appointment as soon as possible to avoid the need for more invasive treatment later on.